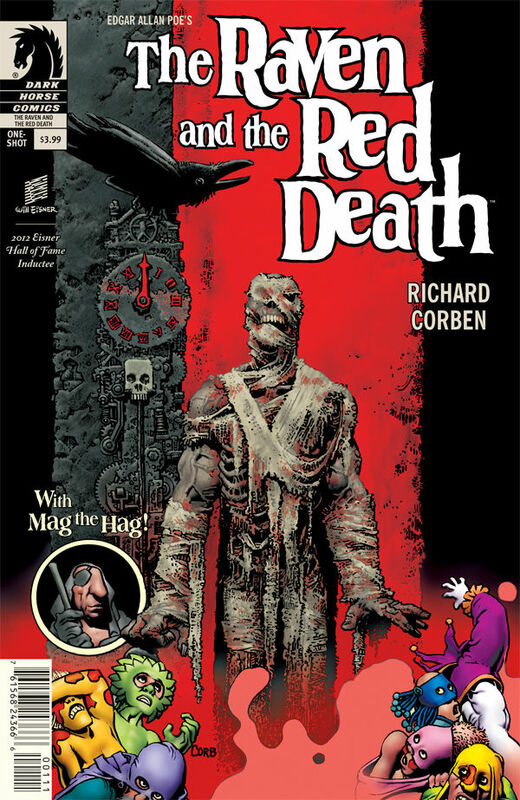 Edgar Allan Poe’s The Raven and The Red Death adapted by Richard Corben…was terrible. I’m sorry to say it, but it was. I love Poe, I’m a big fan, but his work is pure in its truest form and should not be tampered with. I guess I can’t say that I’m surprised that it was so bad. I mean, to turn Poe’s beautiful work into comic form would take a lot of effort to do right, and this, my friend, was not done right. There were snippets of Poe’s actual work that would show up here and there in between a mess of what was trying to be a written and illustrated story of Poe’s work. It didn’t work. The Raven was butchered. I especially cringed when I got to the line, “It just flew in like it owned the place.” No, I’m sorry, the raven did not “fly in like it owned the place.” The art was a little odd, pretty gross (not in a good way), and kind of made reading it even worse, but that’s all subjective. The artist’s style might fit other work, but not this. Definitely not this. The Red Death wasn’t much better; it felt rushed and childish and downplayed the original work of art that Poe wrote. I realize I don’t have much to say, but there’s only one conclusion to draw from this: don’t mess with Poe. Please. Just don’t. It’s fantastic the way it is. If you feel like giving this a shot for yourself, and can get past the fact that the work of Poe is butchered, then you can find it in stores, maybe, if they decide to carry it, and here on Darkhorse.com.